The Dante6 Portia top in Jolly Green with a beautiful jacquard flower pattern is the ultimate top to make a bold summer statement. 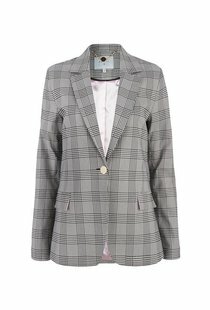 Has slightly puffed sleeves, elastic cuffs, two side splits and a high collar with a ruffled effect that closes at the back with a golden button. Tuck it into a pencil skirt for a polished look.